The answer, as you’ll find out by the example in this post, lies in a perfect convergence of close customer interaction, digital design, 3D printing and an iterative approach to development. Air handling units (AHUs) provide some unique challenges when it comes to remote mounting the Local Control Panel (LCP) of an AC drive. The first is that AHUs are often installed outside where they’re vulnerable to the elements – wide temperature fluctuations, direct exposure to sunlight, and weather all pose problems for improperly protected electronics. The second is that AHUs often feature insulated walls, which means that typical LCP remote mounting solutions that are designed for thin metal panel walls aren’t suitable for use in AHUs. As a result, remote LCPs often have to be mounted to an additional enclosure mounted on the side of the AHU, which can be a costly addition. Lastly, some LCP remote mounting kits often require that either a square hole is cut or a large round hole is drilled in order to facilitate the large connector. This makes properly sealing the enclosure to maintain its environmental classification a further challenge. When a customer and close partner approached us with these challenges and asked us to design and develop a new remote mounting kit that can not only ease the installation process, but also meet these unique challenges of AHUs, our design team set to work to create a robust, flexible and cost-effective solution that meets all of these needs. 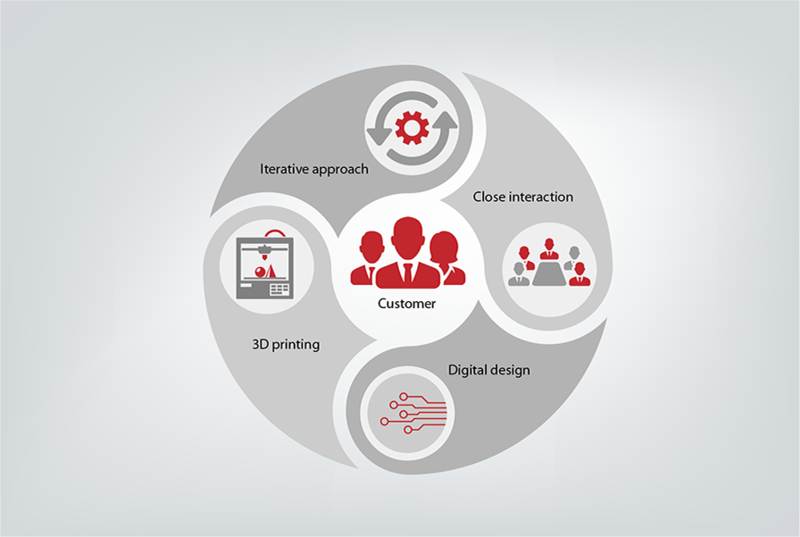 Utilizing digital tools to create a product design is not new, but using these and other digital tools in an iterative way to, for example, design, simulate, redesign and re-simulate, these types of products is a development practice that’s now being adopted at all levels within Danfoss. Thanks to the 3D printers in use in our main R&D locations around the world, in a span of approximately six weeks from the initial request, the customer was able to have a solution in hand that they could physically inspect and put through a series of installation tests. The customer could then provide precise feedback which was evaluated and integrated into the design by the development engineers. 3D printing allowed fast production of the redesigned solution enabling the customer to physically test the changes and provide feedback in very short time until the design was accepted and no further iterations were required. As a result, the new LCP Remote Mounting Kit was able to be produced and the final product design validated within a span of four months after the initial customer request. The new LCP Remote Mounting kit can be installed on a wall with a depth of up to 90 mm (3.5 in) or on thin sheet metal panels while maintaining a tight seal around the single drilled 24-mm (1-in) hole. The drive is connected to the remote LCP by means of a cable which can be ordered in 3 different lengths: 3, 5 or 10 meters. Additionally, the cover on the kit will hold itself up, blocking the sun while someone is programming with the LCP, or it can be locked in its fully closed position while keeping the On/Alarm/Warning LEDs visible. 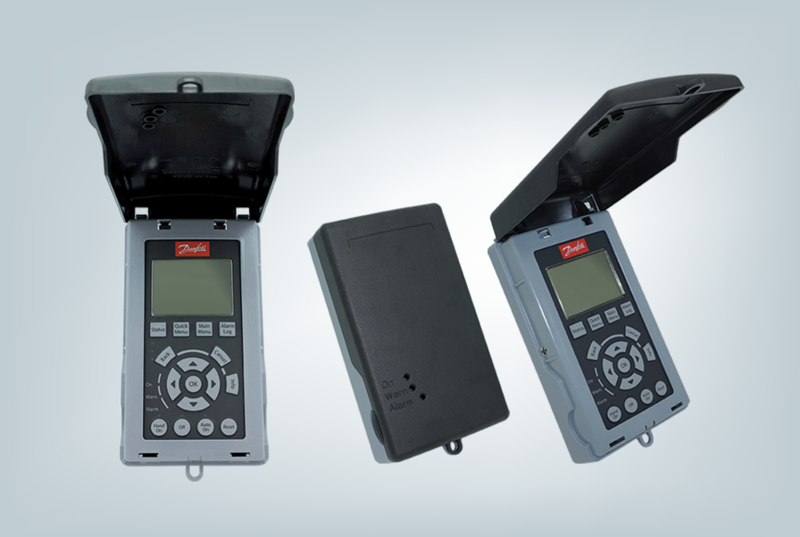 The new LCP Remote Mounting Kit will also be a great way to locate the VLT® Wireless Communication Panel LCP 103 outside of the enclosure when it’s released later this year. This level of iterative product design is only possible through close cooperation with customers combined with powerful digital design tools and 3D printing. As an industry leader, we work hard every day to not only meet, but also exceed your expectations. We invest heavily in technology and future capabilities, which allow us to develop new products, processes and services to drive your success. Let us know in the comments what challenges you are facing and how we can help you overcome them. In the meantime, you can read more about our digital technologies on our website. Hi Benjamin, we’re working on some UL approvals at the moment, so my best estimate is during Q1. I’ll connect you with someone locally for follow up via e-mail. Thanks for reading!